Are you currently searching for Kingwood TX Karate Near Me options that fit your needs and requirements? Maybe you’re trying to figure out what you need to master martial arts and you’d like some assistance. This search is by no means easy, and there are still dojos that have yet to be added to the online database. 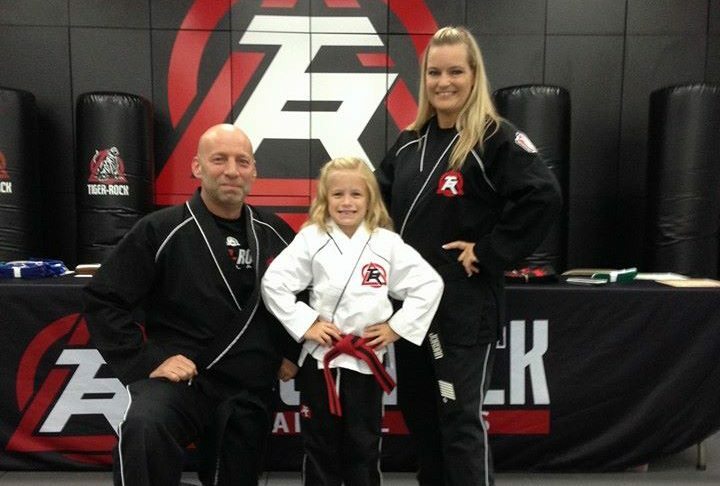 If you’re trying to make sure you get the most out of your karate classes, Tiger-Rock Martial Arts in Kingwood is the perfect place for you. Our academy first began back in 1983. Though this was our founding year, our services have exponentially grown. We are always trying to make sure our students have the best, and each one of our 100 locations has a staff full of certified, experienced instructors. 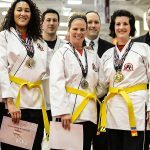 Our martial arts experts know the ins and outs of our form of traditional Korean Taekwondo, and they are eager to pass on what they know. 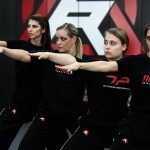 This is a very popular martial art, but TRMA provides you with the experts you need to master this form of combat. When you’re dealing with karate and Taekwondo, the first thing that probably comes to your mind is physical fitness. Do you currently feel like you don’t physically have what it takes to master hand-to-hand combat? Maybe you’re beginning to believe that your limitations in strength and conditioning are going to lead to your demise. If you’re having feelings of inadequacy and insecurity, we understand your frustration. However, we believe that our classes can help you get to where you’re trying to go. Not many people realize this, but martial arts is one of the best ways to get a full-body exercise. Training with our instructors will provide you with the drills and exercises you need to push every muscle in your body to its limit. When you commit yourself to one of our extensive programs, you will most definitely notice improvements in your upper and lower body strength. You will also be able to experience an increase in your stamina. Our striking and kicking drills will be rigorous at times, and they’ll require a high level of energy. As long as you rise to the occasion, you will be able to reap the benefits that come with our programs. Has your flexibility decreased, and you no longer feel like the person you used to be? Perhaps you work long hours in an office on top of living a very sedentary life, and now your limbs and joints are paying the price. This is a very common conundrum that our students go through, and we understand that it can be tough balancing exercise with work, family, and other responsibilities. If you’re trying to handle this all on your own and you don’t know what to do about it, we empathize, and we want to help. If you’re trying to find a Kingwood TX Karate Near Me dojo that can assist you in increasing your range of motion, you’ve come to the right place. We have numerous exercises and drills that will give you the opportunities you need to get your flexibility back. Stiffness is not something that any adult wants to put up with, and we want you to get better. If you’re ready to start making improvements and strides in the right direction, we’re here to support your endeavor. While physicality is without a doubt important to martial arts, it’s important to keep everything in perspective. This is physical, but it also takes mental effort as well. Are you beginning to feel like you’re mentally weak, and you don’t have what it takes to get past the blocks in your mind? Maybe you’ve created obstacles for yourself and you’re unsure how you’re going to defeat these doubts. This is a common problem that our students have, but our instructors are here to help. Discipline is a core principle of Tiger-Rock. When you step into the dojo, you will have to fully commit yourself to get the most out of what we have to offer. Our 15-step belt program is incredibly satisfying, but it will require you to work hard and stay committed. This is not always going to be easy, and you’ll need to stay consistent. However, as long as you put the work in, you will notice your mental toughness increasing. There’s nothing quite like seeing your body advance, and when this happens, your mind will follow. While it is not mandatory, we also provide our students with opportunities to compete. Healthy competitiveness is a great way to sharpen your skills and become a mentally capable individual. If you’re interested in competing, we have nationwide tournaments on a regular basis that give you the chance. We will pair you with another student so you can engage in a sparring match. Crawling search engines and websites for a “Kingwood TX Karate Near Me” dojo can be incredibly difficult. When you don’t know what you’re looking for and you’re a beginner in this field, you might feel discouraged and out of the loop. While it may seem like an uphill battle at first, we believe that the existence of Tiger-Rock Martial Arts makes this task much easier. If you’re ready to unlock your full potential and make the most out of your body, mind, and soul, contact us. We’re ready to provide you with more information and details on our introductory course bundle! The city of Kingwood was first started back in 1971. Though the Friendship Development Company is the entity that claims credit for our community, King Ranch was the developer that first started working here. This is where our namesake comes from, and we are extremely proud. If you like wildlife, you are going to greatly enjoy Kingwood. We have plenty of trails for our residents to enjoy. Hiking and biking are two common pastimes. Here, you can engage in these activities while being surrounded by wildlife and trees. Did you know that Kingwood lies in both Harris and Montgomery County? While the former contains most of our community, you can also find a bit of it in the latter.